KABUL, Afghanistan – Militants attacked a provincial government building in eastern Afghanistan on Sunday, killing at least 10 people, officials said. 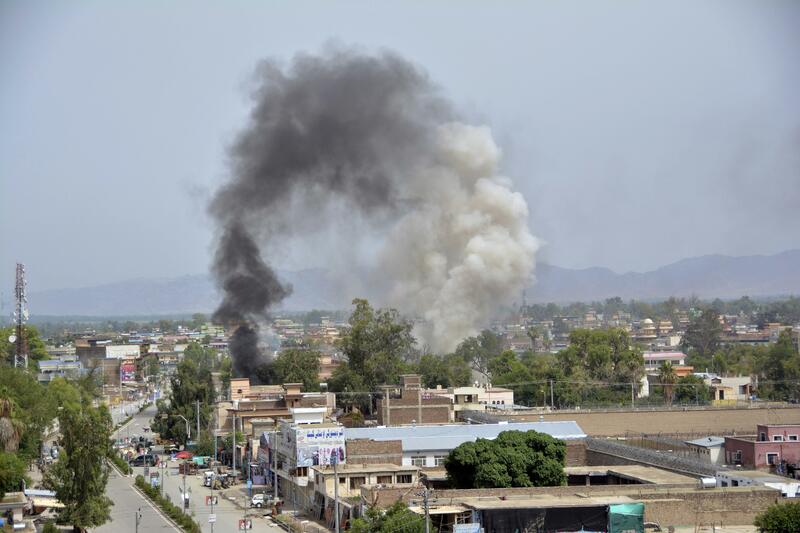 Attahullah Khogyani, the spokesman for the governor of Nangarhar province, said a suicide car bomb exploded outside the building, which belongs to the provincial finance directorate. The attackers then stormed the building, trading fire with security officials. “There were eight terrorists who carried out a coordinated attack in Jalalabad city, killing ten people,” Khogyani said. He added that 42 other people were wounded during a five-hour battle. He said security forces killed six of the attackers after two of them carried out suicide attacks near the building’s entrance. Security forces were able to rescue around 50 employees stuck in the building during the attack, he added. Inamullah Miakhial, a Nangarhar hospital spokesman, also confirmed the dead toll and said that more than 40 wounded people are undergoing treatment at the hospital. No one immediately claimed responsibility for the attack. Both the Taliban and a local Islamic State affiliate have carried out numerous attacks in Nangarhar. Afghan security forces have struggled to combat the Taliban and IS since the U.S. and NATO formally concluded their combat role in the country in 2014, shifting to a support and counterterrorism mission. The Taliban have seized control of districts across the country, and the two groups have carried out attacks in the Afghan capital, Kabul, in recent months that killed scores of people. Published: May 13, 2018, 8:29 a.m.